One sip of a wine made by Christine Marchi, and there’s no doubt this winemaker has an intuitive understanding of coastal vineyards and an uncanny ability for sensory evaluation and blending. It’s also clear she considers the food and wine experience every step of the way in the cellar. As the winemaker behind Cloudfall in Monterey County and Sonoma-based Pacific Heights, Christine selects grapes from California’s coveted coastal sites to create exceedingly foodfriendly wines—wines that convey the unmistakable acidity and crisp flavor of cool-climate fruit. A somewhat circuitous route landed Christine in the world of wine. 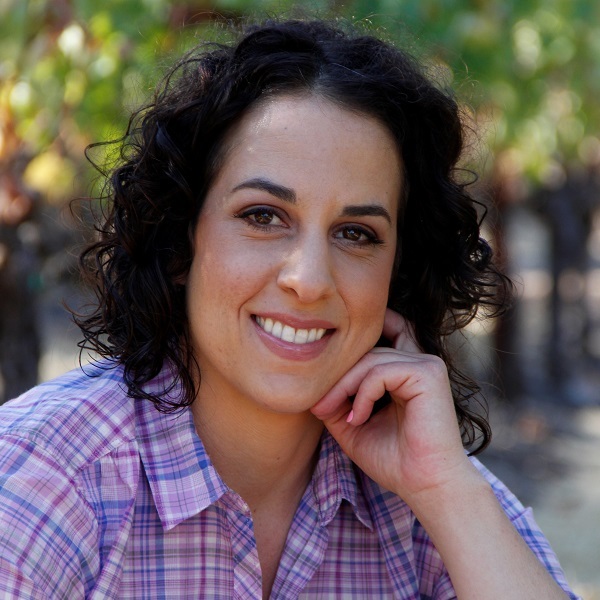 While earning her bachelor’s degree in Biochemistry and Molecular Biology at the University of California at Davis, an introductory winemaking course forever changed the trajectory of her career. She has circled the globe—working harvests at Kendall-Jackson in Sonoma, Rutherford Hill in Napa, Cumulus in Australia, Ledson in Sonoma, Villa Maria in New Zealand and Beringer in Napa—before settling at Trinchero Family Estates. After honing her skills at the family’s St. Helena winery for four years, Christine was given the opportunity of a lifetime to explore her passion for coastal vineyards with Cloudfall and Pacific Heights. Somehow, Christine delivers both in every bottle of wine she crafts.